CBD Extract (also known as CBD paste) is a thicker CBD oil still containing the plant waxes. It is loved by many of our customers because they know they’re getting the goodness of the whole hemp plant. 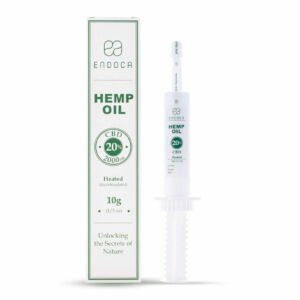 Discover our range of CBD Extracts including our Raw Hemp Extracts and Decarb Cannabidiol range. Our CBD Extract range is perfect if you are interested in benefiting from the whole hemp plant with nothing added or taken away. It’s CBD oil in its most natural form (also known as pure CBD extract). Our CBD Extract has been through less of a filtration process than CBD oil. The result is a thick, waxy paste that’s dark and treacly in colour. To make our CBD Hemp Oil Extract, we use a state-of-the-art CO2 supercritical extraction method to remove the active ingredients from the raw hemp, followed by cold filtration. This is beneficial because more of the plant’s chemical structure is retained in the oil – meaning you’re able to enjoy the hemp plant in its most natural form. What’s in our CBD Extract? The difference is all down to science. A decarb extract has been through a process known as decarboxylation. This means the chemicals have been activated via either heating or drying. This is particularly true of the CBDa compound. CBDa is the acidic precursor to CBD and a cannabinoid in its own right. If you picked fresh hemp leaves and flowers, you’d actually find CBDa in abundance and very little CBD. This is because CBDa converts into CBD through sustained heat (the decarboxylation/ decarb process). 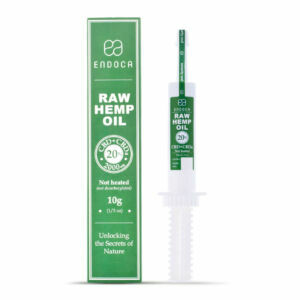 What CBD extracts do Endoca offer — and what’s the difference between them? 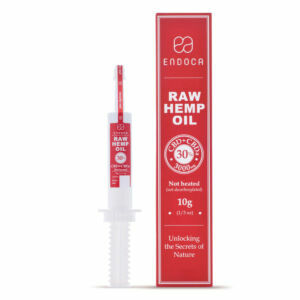 3000mg Raw CBD Extract — This is our maximum strength product. It’s also known as ‘Golden Hemp Oil’ because of its lighter colour. Here, we’ve removed the remaining plant waxes and chlorophyll through hot filtration, making it the smoothest hemp extract on your palate. >Dosing isn’t an exact science when it comes to CBD extracts and customers are encouraged to start with a low dose, building up gradually until a plateauing is noticed. This is known as the up-titration method. Because we offer premium strength products, just a tiny amount of CBD Extract Oil is needed — about the size of a grain of rice. It is a good idea to take the CBD Extract under the tongue and on an empty stomach to ensure maximum absorption in the body. Some people even spread a little CBD Extract on a cracker. So why not give it a try?